The DKN wrist weights are great exercise aids that add resistance during fitness activities, walking or running. They help increase fat burning and muscle toning to get results much quicker. The weights have a comfortable neoprene finish and are equipped with an easy to use tac grip fastener. They are supplied as a pair and weigh 0.5kg (1.1lbs) each. for submitting product information about DKN 2 x 0.5kg Wrist Weights We aim to answer all questions within 2-3 days. 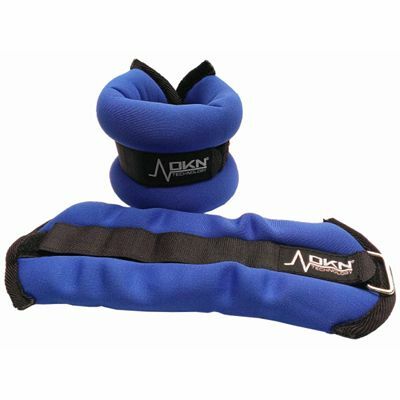 for submitting product information about DKN 2 x 0.5kg Wrist Weights. We aim to answer all questions within 2-3 days. If you provided your name and email address, we will email you as soon as the answer is published. for submitting product review about DKN 2 x 0.5kg Wrist Weights.